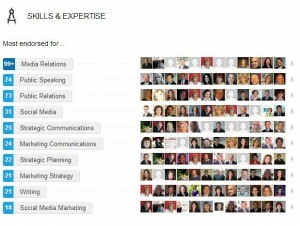 In the fall of 2012, LinkedIn launched Skills Endorsements that allows our 1st degree connections to “endorse” our “Skills & Expertise” with one click. This is somewhat akin to Facebook “likes.” Nancy Myrland, my friend and social media legal marketer extraordinaire, details how these endorsements work in her blog, LinkedIn Skills Endorsements: What’s Going On? If you’re completely unfamiliar with how the Skills Endorsements work, I recommend you read Nancy’s article before reading further. 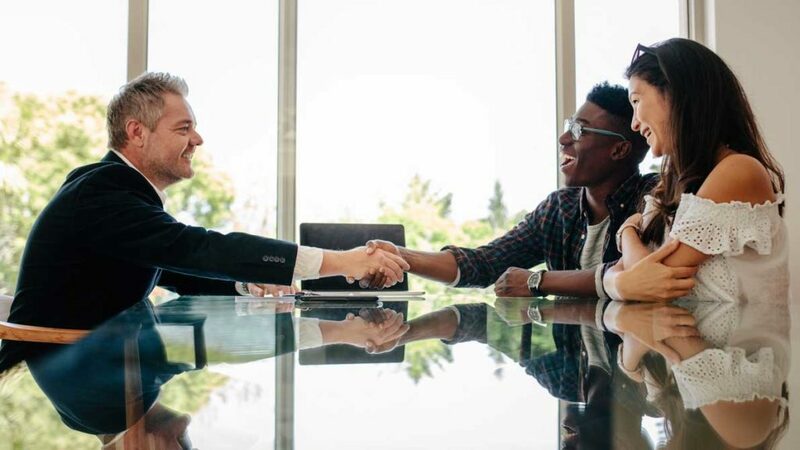 It is important to take control of your digital real estate and clearly define your own “Skills & Expertise.” For example, many attorneys’ list “litigation” and “law” in this section without thinking about their exact practice areas and/or industries served. Using IP as an example, a better listing would read “intellectual property litigation” or “trademark litigation and management.” Depending on your target audiences and marketing goals, you may also want to define industries serviced (i.e. “pharmaceutical trademark litigation”). 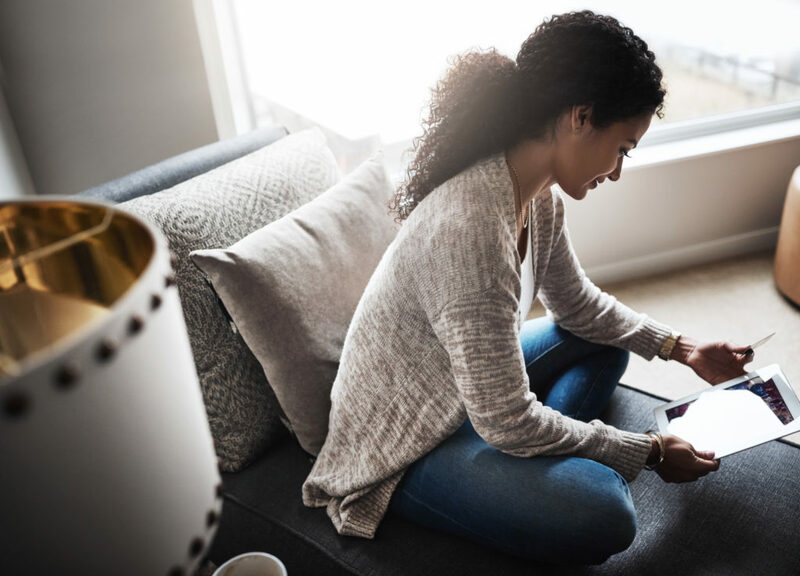 This not only tells your target audience exactly what you do, it also supports your firm’s search engine optimization (SEO) and integrated marketing goals. If you’re not going to invest the 10 minutes it takes to add and define your own skills, at the very least, go to LinkedIn’s skill definer and let them make suggestions for you. The link is http://www.linkedin.com/skills/your_skills. Nancy Myrland also shared a detailed blog regarding how to take control of your LinkedIn skills. I recommend it highly. Many LinkedIn users complain about the ability for others to add skills to their profile. I’m not fond of the ease with which others can add “Skills & Expertise” either. For example, I love photography and it is one of my hobbies but I don’t necessarily want to highlight that in my LinkedIn profile (as opposed to sharing my hobbies on Facebook, Pinterest and Instagram). I prefer to use my LinkedIn profile for professional relationship development. And since LinkedIn offers us the opportunity to endorse our 1st degree contacts the minute we log on to the social networking platform, and it randomizes (as far as I can tell) the people it shows us and the skills we can endorse them for, it is important to make sure the skills we want to highlight on our individual profiles are listed. In other words, if you want to be endorsed for a particular skill, make sure it’s listed in your “Skills & Expertise.” As the owner of a Legal Marketing firm, some of my top endorsed skills are media relations, social media public speaking and marketing communications and strategy. The reverse holds true: don’t just add a skill to a colleague’s profile without asking first. Users tend to make assumptions that others want to be endorsed for anything and everything, but that’s not necessarily their LinkedIn usage strategy. 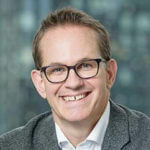 I find that when a person appears in the “What skills or expertise do your other connections have?” widget at the top of my LinkedIn profile, I then go to his/her profile directly and endorse that person for the skills that I actually have experience with. If I’ve never experienced working with someone as a graphic designer, but I have worked with that person and have been pleased with his/her illustration skills, then I search for the endorsement opportunity that has integrity. A good example of this came from our corporate counsel. She received an endorsement for white collar criminal work, an area of law within which she does not practice. As a result, she had to log on to LinkedIn and remove the endorsement and the “skill” that was added by someone else. You can bet that I have endorsed her for her corporate general counsel skills which I did add to her profile, and I must confess, without her permission. I did let her know shortly thereafter though. I had a feeling she won’t mind since she is the person behind my inspiration for this blog…. Some states like Indiana don’t allow attorneys to use testimonials (or LinkedIn Recommendations) as part of their marketing communications. In fact, it is even considered a violation of their ethics rules if an attorney accepts a LinkedIn recommendation to be posted on his/her profile. But Skills Endorsements are much less manageable because they don’t require a user’s proactive approval. Rather, the endorsement is posted (you can select to be notified via email) based on either the “Skills & Expertise” you add to your profile or the “Skills & Expertise” someone else believes you should have in your profile. Users then have to proactively remove the endorsements if they don’t want them there. While I haven’t seen any ethics opinions on LinkedIn Skills Endorsements (as opposed to LinkedIn Recommendations) to date, it is certainly something that lawyers need to be aware of. A friend recently asked me if she has to endorse the people who endorse her. My answer is no. I have received many endorsements from people I have never done work with and have only met online. I have actually blocked their endorsements from my profile as I don’t want to be held out to have done work with people I don’t know well. In the same vein, I’m not going to endorse someone just because they endorsed me and I expect the same to be true. For example, if I hired a contractor to build an addition and chose to endorse her, I don’t expect her to endorse me for legal marketing. I don’t believe Skills Endorsements should be used as a quid-pro-quo tool the same way I don’t think everyone I follow on Twitter needs to follow me and vice versa (but there are many people who would disagree with me on both of these philosophies). Let me know what you think about LinkedIn Endorsements and if they’re working for you. They are still in their infancy so it will be interesting to see how they evolve. With all social media, do your best to engage responsibly and manage your message, but also remember that while social media is here to stay, every platform is ever changing. Gina, thank you very much for your kind mentions and links. I agree about not reciprocating skills' endorsements if you don't know the person, or if you don't believe it to be true. Our credibility is at stake in more ways than one, so caution is the best approach. I have turned down skills a few kind people have suggested be added to my profile. I appreciate their confidence in me, but don't feel these are core strengths to throw into the mix, which is a number limited by LinkedIn, and don't want these non-strengths to water down those I would rather display. Gina, this is good advice with respect to managing LinkedIn endorsements. I would also add that attorneys shouldn't worry about the ethics of having endorsements on their LinkedIn profiles. It galls me to see law firms wring their hands over LinkedIn endorsements. They're lightweight, non-substantive, and as long as they are rationally related to the attorney's practice, not false or misleading. Any attempt by a state bar to prohibit them would be unconstitutional. I realize that not everyone wants to be the test case for their state bar rules, but I wish more attorneys and firms would take a stronger stand when it comes to free speech rights. I am agree with Josh King. It galls me to see law firms wring their hands over LinkedIn endorsements. They’re lightweight, non-substantive, and as long as they are rationally related to the attorney’s practice, not false or misleading. Any attempt by a state bar to prohibit them would be unconstitutional. Hey Gina! 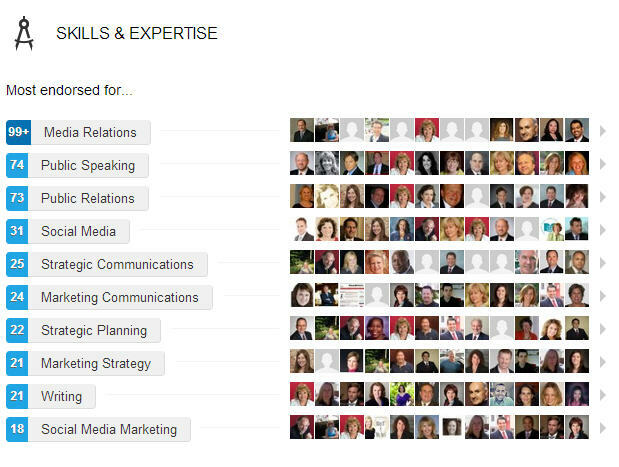 Thanks for breaking down LinkedIn endorsements for lawyers. This is my first time to read an article of endorsements for lawyers and for sure, a lot of readers will gain a lot of insights. Keep on posting!